For students, the summer is over and school is starting again. 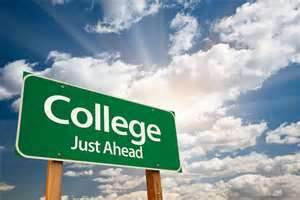 Many students will be starting college for the first time and it will be in a new environment with many challenges and temptations. Underage drinking and use of controlled substances is common on most, if not all, college campuses. For some law enforcement agencies, back to school means stepped-up enforcement of alcohol laws as well as general law enforcement. This means that many students will be receiving criminal charges or citations for underage drinking or other related criminal activities including underage possession, underage consumption, and fake ID’s. Some people do not consider these serious charges, but they are misdemeanor charges for which a conviction can mean a criminal record that can affect a person for the rest of their life with respect to getting jobs, renting apartments and otherwise. Anyone charged with a crime should consult with an experienced criminal defense attorney. Collins Law Firm regularly represents people who have been charged with alcohol law violations and other crimes such as possession of marijuana or other controlled substances. In most cases for first time offenders, we are able to avoid a conviction, and court appearances are usually not necessary for defendants we represent on these type of charges. However, in most cases, the defendant is required to perform a certain number of hours of volunteer service, or to participate in some type of educational program regarding alcohol and controlled substances, or both. If you or someone you know has received a citation or criminal charge for an alcohol law violation or related charge, Collins Law Firm can help. Call us at (910) 793-9000 (910) 793-9000 for a free telephone consultation or make an appointment to come in for a consultation. If you get a speeding ticket outside of North Carolina as a North Carolina licensed driver and just pay it off, it could cause your license here to be revoked. Because of the Interstate Driver License Compact, the vast majority of states exchange information for moving convictions in motor vehicles. 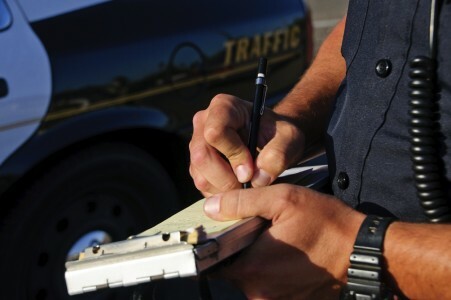 If you get a speeding ticket in a member state for speeding more than 15 miles per hour over the speed limit, and the speed at which you are charged to have been speeding is 55 miles per hour or more, your license in North Carolina will very likely be revoked. Similarly, if you are charged with speeding more than ten miles per hour over the speed limit in a 70 mile per hour zone or higher, your license in North Carolina will very likely be revoked. Once the NC Department of Motor Vehicles gets notification of such a conviction, the NC licensed driver will be sent notification of the pending revocation and given notice of the right to have a hearing. If the DMV hearing is not requested properly within the time frame allowed for such a request, the revocation will go into effect and it will no longer be possible to request a hearing. If you have received such a notice, Collins Law Firm can help. Give us a call at (910) 793-9000 (910) 793-9000 to discuss the details. We would like to offer some advice on what to do if you are stopped by a law enforcement officer while driving a motor vehicle. If you are stopped by a law enforcement officer while driving, stop at the closest place where you can park and where it will be safe for the officer to approach your vehicle. Then roll your window down, and put your hands on the steering wheel at the ten and two o’clock positions so the officer can see your hands. This will help the officer see that you are unarmed and do not pose a threat. You should always be polite and cooperative with law enforcement officers. However, this does not mean that you must consent to a search or perform any roadside field sobriety tests if requested. You also have a right to confer with an attorney even before your rights are read to you. If you are suspected of impaired driving you may refuse the roadside field sobriety tests, but the refusal may be considered by a judge in a probable cause evaluation, though refusing the roadside tests will not cause a license revocation. However, if you are placed under arrest for impaired driving and asked to submit to a chemical test of your breath or blood and refuse, your license can be revoked for that refusal. The details of the revocations can be complicated. For more information, call us any time. Do not drive while impaired! It is very dangerous and it is a very serious crime. However, if you are stopped or arrested for impaired driving, you can call Collins Law Firm at (910) 793-9000 (910) 793-9000 for legal advice and representation.